He started flying single engine airplanes at an early age in his native country Iceland and from that point on there was no turning back from aviation. He went on to complete the ATPL at British Aerospace Flight Training where he graduated in 2001. Shortly after he joined CityJet, a passenger operation based in Paris and London City, where he flew the BAE-146 around Europe. He was a part of the training department there initially as CRMT and then as TRI in 2005. After city hopping around Europe for a few years the opportunity to join Cargolux and fly the 747 on their worldwide network came in 2007 where he joined as a First Officer. He has held various training positions there over the last 12 years, such as CRMT, Technical Knowledge Instructor and TRI on the 747-400 and 747-8. He has been the Assistant Chief Pilot at Cargolux since January 2017 and was appointed Deputy Chief Pilot in 2019 and will be appointed Chief Pilot. 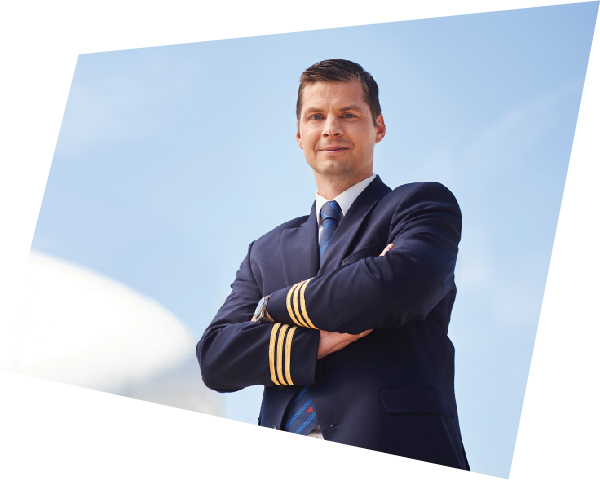 He is a member of Cargolux Peer to Peer Advisory Group and Pilot Recruitment Selection Board. Additional to his flying experience he holds a BA degree in Law from the University of Iceland.